Fat Chat Apps fills a bit of a vacancy in the AAC Apps world. It doesn't pretend to be a comprehensive solution. 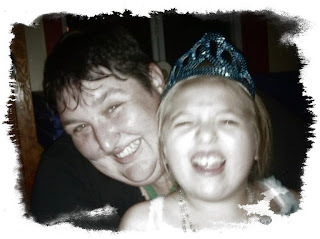 Fat Chat Apps are a family of small, fun AAC apps for joking around, sky kids in new situations or extending conversations and fixing communication break downs. The most important thing about these apps is they are fun! Pirate Chat and Outback Chat are two of the joking around choices. Fun, unique picture symbols combine with thematic phrases to allow kids (and adults) to have fun. You can even send your messages through Twitter, e-mail, IM or text. Perfect for participating in talk Like A Pirate Day or being a Pirate or Aussie Cowboy for Halloween. Spooky Chat, Santa Chat, and Bunny Chat are situational AAC apps. Perfect for shy toddlers, those not wanting to haul around bigger AAC devices or when a non-speaking communication book just won't do. Now you have a solution for trick-or-treating, visiting Santa and the Easter Bunny. 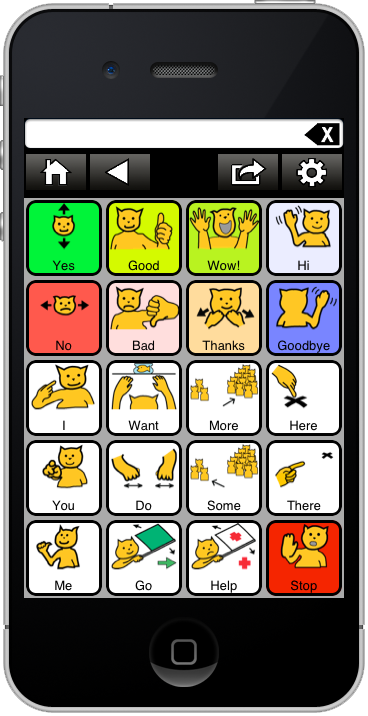 Finally there are some apps for short term solutions to AAC talk. 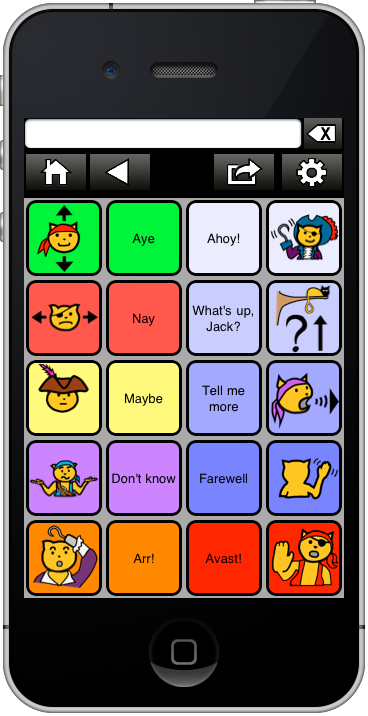 Snappy Chat provided kid-friendly conversational extenders while Fast 20 is a core word solution utilizing the top 20+ core words and Chat Repair gives you 160 phrases to fix communication problems and extend conversation. Phrases range from "my bad", to, "excuse me" and then some. These apps are nice back up tools, choices for those who are understood just fine when communicating with familiar listeners but need help with new listeners and those who maybe just need a hand when tired or ill. In general these apps are only $.99 and are available for iOS and Android. I want (to) go in. I want (to) go out. You want (to) go in. You want (to) go out. I like (to) go out. I like (to) go in. You like (to) go out. You like (to) go in. I want you (to) stop. You want me (to) stop. I want some in here. You want some in here. It not on this board. Obviously my list assumes facial expression to imply a question versus a statement, but 50 possible sentences from 20 squares really increases that value of what some call a limited about of "real estate" on a communication board. On the right is a 25 word communication board. 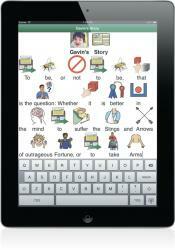 (It happens to be a photo of a poster a family uses to model core words and sentence building for their AAC user.) This board is a print out from a dynamic display device, so abox is lost to "back", although back can certainly be used as a word as well. By adding "not", "who", "that", "eat", and "now" to the above board how many more sentences can we make? I am not all done. You are not all done. It is not all done. I am not all done now. You are not all done now. It is not all done now. Who is not all done? What is not all done? I (will) not eat that. I (will) not eat this. I (will) not stop eat(ing). I (will) not stop eat(ing) that. I (will) not stop eat(ing) now. I (do) not want it. I (do) not want that. I (do) not want this. I (do) not want (to) eat. I (do) not want (to) go. I (do) not want (to) stop. I (do) not like it. I (do) not like this. I (do) not like that. I (will) not go here. I (will) not go there. I (will) not go in. I (will) not go in here. I (will) not go in there. I want (to) eat this. I want (to) stop eat(ing). I am all done eat(ing). I am all done eat(ing) now. I am all done eat(ing) here. I am all done eat(ing) that. I am all done eat(ing) this. Who is all done eat(ing) now? You are all done eat(ing). You are all done eat(ing) now. It is all done eat(ing). It is all done eat(ing) now. It is all done eat(ing) here. It is all done eat(ing) this. It is all done eat(ing) that. It is all done go(ing). It is all done go(ing) out. It is all done go(ing) in. It is all done go(ing) now. I am all done go(ing) now. You are all done go(ing) now. This is all done now. Now it is all done. Now you are all done. Now I am all done. Now that is all done. Now this is all done. What is all done now? Who is all done now? You help me go here. You help me go out. You help me go in. You help me go now. Now you help me go. Now you help me eat. I help you eat now. You help me eat now. I go back here now. What go(es) back here now? I (do) not want help. You (do) not want help. It (does) not want help. So with 25 core words that is a total of 200 different things that can be said. There are definitely some missing from my list too. Feel free to add the ones missing to the comments. Imagine how many things could be said with 30, 35, 40, 50 or 100 core words? 20 Core words is absolutely a starting point in working towards more self-generated language. It has it's shortfalls: you can't say everything, there is no way to provide context (excluding multi-modal communication like pointing, eye pointing, gestures, nodding/shaking a head or a set of fringe vocabulary), there is no way to provide verb tenses (and therefore give context as to time) and 20 words is only a teeny, minuscule portion of what there is to say in the world. AAC User: I go there. 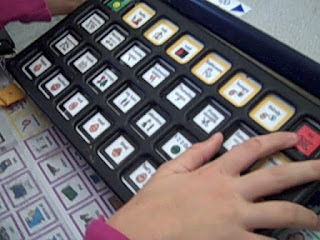 AAC User: (Using gestures) No. (Using board.) I want go there. Partner: Oh, you want to go somewhere? 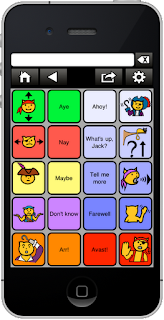 AAC User: (Using gestures) Yes. (Using board) You help I (me) go there. Partner: You want me to help you go somewhere. Somewhere in the school? 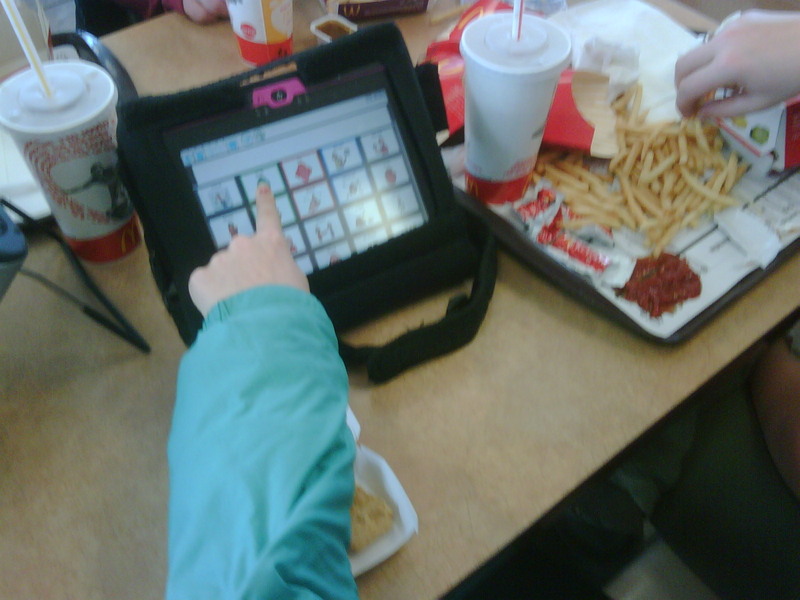 AAC User: I go eat. Partner: You want me to help you go to the cafeteria!?! 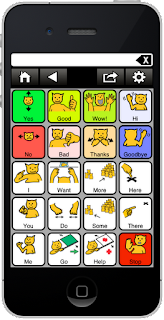 AAC User: (Using gestures) Yes. (Using board) I go eat now. You go eat now. Go eat there. As you can see it takes some work on both sides, but try saying all that if you had twenty-five buttons that only had complete sentences like, "I want to listen to Raffi" and "I want to go potty"! Core words do not have to replace pragmatic, phrase or sentence based alternative communication, but they are an excellent add-on to those systems. Students can be taught to "try to tell me with your core words" when they cannot find a way to say what they want to say within their other pages. If a core word page set is linked to a more pragmatic phrase or sentence based set of communication pages it might even be faster to say "stop" or "more" using the core words pages instead of navigating deep into the boards to find those things! Core word pages can also be printed and laminated to make a portable, water proof and convenient solution on the road, in the pool or on a walk. If you go to an office center like Staples or Office Max (or online at Vista Print) you can print out a core word board poster size (and have it laminated) to use around the house, outside or even hang it over the AAC users bed on the ceiling so he or she can "talk to myself". You can try doing this sentence building activity yourself. Try it at a staff meeting with aides and others or at home with your family. Using pointing and gestures to provide context and see how much you can say. This activity, sort of a sentence scramble, is a great way to train communication partners in how far you can go with just core words. 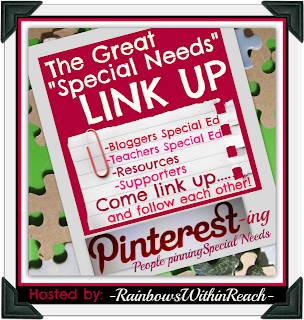 It could work in training adults or children to be good communication partners. Core words can be limiting but its better than a world of yes/no questions and hoping someone guesses the questions to ask correctly, isn't it? I received a text message today from a proud parent. She had heard from her daughter's speech therapist who told a story about how the child had independently used her speech device to access iTunes and turn on Adele when another child was playing music she didn't like. 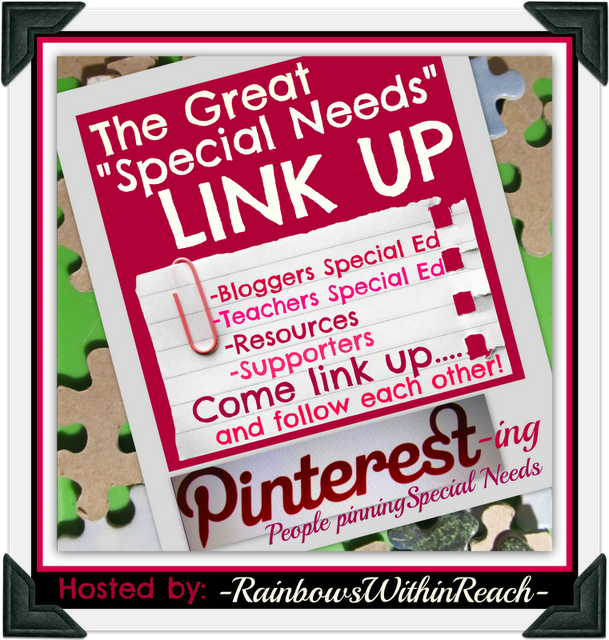 This post is for all the proud parents and parents with high AAC hopes. That mom commented that it was like I had mentioned before, "You need to move back!" 4) Move out of the way. Leave the device set up, there is no such thing as "device time being over" or "being too tired". If someone is too tired to communicate then they just won't say anything. It is absolutely fine to have a device set up and then not say anything! You don't talk the every minute your mouth works, do you? Moving out of the way means letting life unfold and being ready for the surprises your child throws are you. You never know what they are going to say until you give them the time and space to say it! 5) Finally grow the device before the user needs it. By this I mean add vocabulary and information slightly faster than your child learns to use what is there. Make sure there are new mountains to climb. Rarely have I seen someone have too much vocabulary, but constantly I see someone have too little. If you only had the same 4, 32, 128 or 400 things to say over and over and over and over would you bother making the effort? Good luck. Comment with your stories of communication success here or on Facebook!